This entry was posted in Uncategorized and tagged 'animal cruelty', adoption, Anne Novak, birth control, burro, Cold Creek, euthanasia, feed, forage, Forced drugging, gather, Inspector General, land use, Las Vegas, Las Vegas RMP, livestock, mustangs, New Ener, No Kill, overpopulation, Pesticide, Protect mustangs, PZP, roundup, solar, underpopulation, water, wild horses by Protect Mustangs. Bookmark the permalink. Thank you for itemizing the concerns we all have regarding this roundup! I visit Las Vegas several times a year and Red Rock National Park used to be a favorite visitor spot until the removal of the burros (and signs!) So sad now that I don’t go there anymore. The wild horses and burros are a symbol of our west and so heartwarming to see. I’m often in Washington State where forage is provided for wild life during the winter or because fires have destroyed their natural feed source. Seems like should have been done for the wild horses rather this removal. Premeditated, planned and opportunistic destruction of wild mustangs! This has to be investigated clear to the source of this heinous crime. I support Protect Mustang’s request for clarification on these questions. I look forward to a prompt reply for all concerned. Please save these poor Horses !!! Help them !!! Please ! They were there when we needed them & now they need us !!! Why ? Why ? Does BLM murder innocent Beautiful Horses ??? We all hate them !!! The BLM is out of control. They need to be stopped all over our country. The BLM are thieves and are paid off by rich ranchers. The BLM must be stopped. They are not in support of the horses and protecting our wild horses and burros. The BLM is acting like “God” and distroying our Country’s national icons. Greedy and filthy people they are. We need to bring up criminal charges against the BLM. More and note round ups are happening and more of the wild mustangs are ending up in kill buyers hands and shipped to slaughter EVERYDAY. The mass murder or 28 free innocent wild horses is just not on, these people can not look after themselves or the land never mind wild protected horses the BLM must be stopped and removed, they do not work and they have shown this time and time again. The wild horses must be respected, protected and looked after and monitored by people who care, love and know what they are doing, BAN The BLM, Its time for them to go. Rest easy to the 28 innocents that lost their lives thanks to cowards. Peace always James. As a tax payer, I am part owner of the horses the BLM killed, and I am also an employer of the BLM. 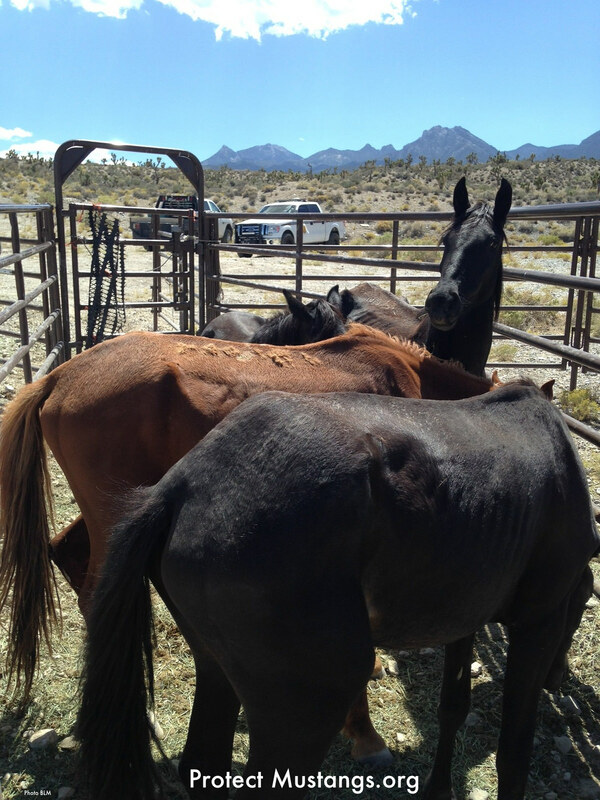 What has happened here goes against why the BLM was hired in the first place: to effectively manage and compassionately provide upkeep for the horses we all own! For shame, BLM, for shame! The BLM have Not been doing their job of managing ANYTHING CORRECTLY with our tax money. They need to be dismantled . They are slaughtering our Wild Horses ,Not protecting them. We demand that they be held responsible for the horrific treatment that these Horses have endured and to this day are Still enduring. Round ups are not done appropriately, who in their right mind would run foals across the terrain until their hooves fall off??? Separate family’s from each other without any consideration. The BLM is cruel beyond words. This MUST BE STOPPED or the only place Wild Horses will be seen are in history books. That is Not acceptable. All Wild Horse Warriors will NOT STAND BY SILENTLY and let this happen. We will continue to be the Voices for these magnificent equines that helped make America’s History and are seen as an American Icon.